Amy mixes her favorite medium, decoupage, and some tissue paper to create this fun and easy Mod Podge valentine. 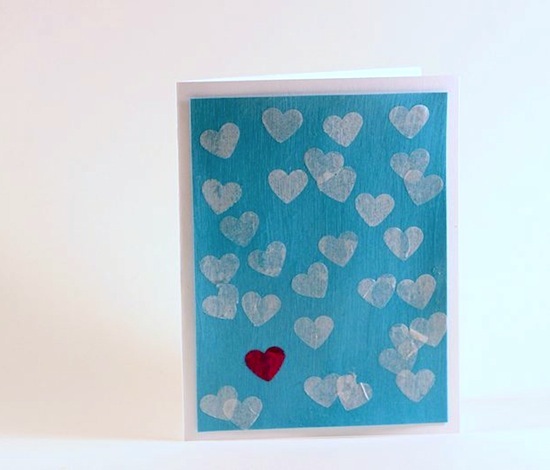 You can create a confetti card like hers or use her tissue technique to make valentine cards of your own design. You can check out her easy Mod Podge tissue paper valentines over at Mod Podge Rocks.